Tire Retreading at Pete’s Tire Barns. Learn more about retreading, why we retread tires and what the environmental benefits are. 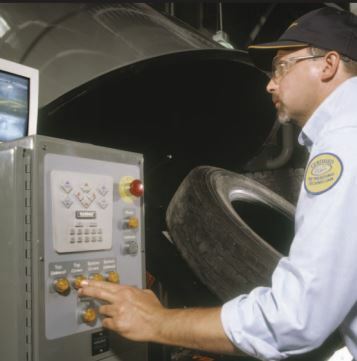 Learn about the retreading process, why it is important to retread tires and the tire treads that are available for retreading. See the process used to retread specialty tires like those used on skid steer loaders and see a video of a Michelin Tweel Skid Steer tire being retreaded. Discover the financial and environmental benefits of using retreaded tires on your equipment.